“SAY NO! TO DOPING” but why aren’t we? 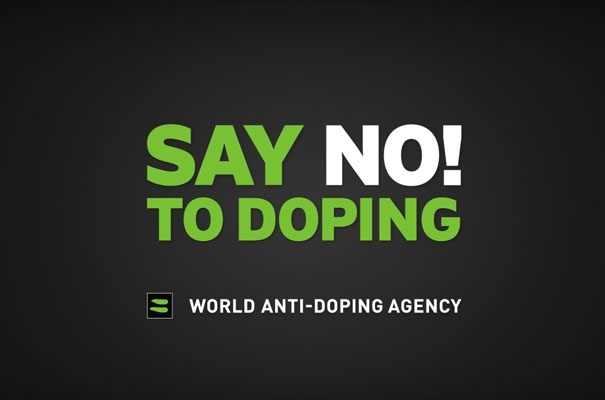 Our sport is young enough, it is connected to campaigns that drive the words Say NO! to doping, yet we accept those that go back into competition? More so they are allowed to earn victories and earn prize money. There are enough motivated, honest people in our sport to override the minority and out those who have chosen to dope, cheat or bring the sport into disripute. So why is it that victories, prize money, media attention and sponsorship is being given to those who have once chosen to dope? The past weeks have seen a large increase and focus on Lisa Hütthalers victories at IRONMAN 70.3 events. Observing these Tweets, Facebook posts and comments from other professional triathletes globally has brought me to think we need to speak our mind in order to better the future of our sport. Now I fully believe if the system, organisation and structure of our sport is correct, it will go mainstream. The bottom line is if we don’t get a hold of the doping situation at an early enough stage our sport will loose recognition. Should those who have once tested positive for the use of performance enhancing drugs be eligible for qualification to major championships and receive race prize money? My answer to this question is – NO! Why? Because my belief and duty as a high performance sports person is to stand for what is right in sport; clean, honest and fair racing. Whether it be now or in the past those that have failed doping tests should become ineligible for qualification to major championships and/or games and ineligible from receiving prize money. Lisa Hütthaler to those that don’t know has a history that includes failed drug testing, bribery and cheating. Here is what we know through publications written and available in the media. The information stated in the below bullet points has been gathered from online medias. – Lisa Hütthaler, according to this article, paid 15.000 EUR for EPO. – Lisa Hütthaler, according to this article, attempted to bribe a laboratory worker 20.000 EUR to make a ‘B’ sample test negative. – Lisa Hütthaler, according to this article, used controversial racing methods in IRONMAN 70.3 Miami. Lisa is not the only one and there are probably a few out there. So is it right that those that have once cheated are eligible to compete in major championships, claim race victories and receive race prize money? I certainly think a lot more can be done to combat cheating in our sport. Doping regulations and testing programs have got better but I believe there is still a large room for improvement. We should also focus on past offenders; my wish and belief is that triathlon organisations (WTC, ITU, USAT etc.) will write their own rules to combat past offenders also. Rules that go something like “…any person committing any form of doping violation becomes ineligible indefinitely; to compete in major championships; be awarded race victories; receive any form of payment from race organisers (start fee or prize money)”. Now we are very ignorant if we believe every triathlete out there today is clean, BUT we are certainly a sport that is young, not wrapped in doping scandals and in a position to make change. So before it goes to far I think a stronger stance needs to be taken on doping whether past or present. Hi, maybe an additional point of view. Have you considered organizing a professional boycott of events where Hutthaler is allowed to race? That is guaranteed to send a strong message. You are right on target! If I was a Pro, the only “Pro” that would be racing at an event where a known doper was racing would be that doper! Once caught, you should be banned for life. In fact, if I was a sponsor I’d go after that person in a court of law to get back every penny paid, and more!! Doug unfortunately as sad is it is, professional athletes do not have value to race organizers and very few race organizers see professionals as an attraction. There isn’t a big enough ROI due to many factors, lack of media interest, professionals not being the main attraction of races etc. Currently race organizing is a business and we have to remember that. So unfortunately as much as I would LOVE to boycott an event in order to send a strong message, the truth is unless there was a mass boycott in an event like the IRONMAN 70.3 World Championships then it would not make any difference. One boycotting athlete will can easily go unnoticed. It takes a strong message from an event organizer to send out the biggest message. It shouldn’t be the athletes that do this, it should be the organizers. No BS just be straight and say they are not welcome, none of this “everyone deserves a second chance stuff.” As Jodie Swallow recently wrote on Twitter, in life yes maybe, in sport it has no place. I think that obvious PED use should carry a lifetime pro and age-group ban (maybe you can race, but you can’t win – so if you want to race for fun as an AG’er enjoy yourself but you’ll never podium). I also think that a 2nd explicable positive test (regardless of excuses) should carry the same ban. One of the main problems, in my opinion, is that we as not top athletes want to see athletes performing on a non human level. And we forget that this is not possible. Doping should be banned from it roots and people should accept that we are humans and humans have limits!